Working Draylen Mason's murderer(s) -- now. 0200 PDT -- target acquired; preliminary results passed to mission-committed entity. Will recheck resultant Geofix data after some shuteye, and forward a formal report to cognizant agencies. I am the former operations and training officer for the (now defunct) U.S. Army/DIA/CIA STARGATE program. Our unit’s key operations included locating terrorist-abducted hostages. I have also served as a strategic intelligence targeting officer at the OSD level (vs. threat BW/CW/directed energy and ‘exotic’ weapons) and hold the honor and distinction of serving as the 2nd Armored Cavalry Regiment’s first tactical electronic warfare officer. (The British actor Sir Ben Kingsley plays me in the film Suspect Zero – I have a cameo appearance as an FBI ‘remote viewing’ instructor). My erstwhile colleagues and I assisted former FBI Deputy Assistant Director, James Moody, on the ‘Unabomber’ case. There is a high likelihood that the individual(s) responsible for the murders of Draylen Mason and Anthony House is/are presently located at or in the immediate vicinity of N30˚ nn’ nn.n”/W97˚ nn’ nn.n” (30.nnnnnn/-97.nnnnnn). Refer to attached aerials. 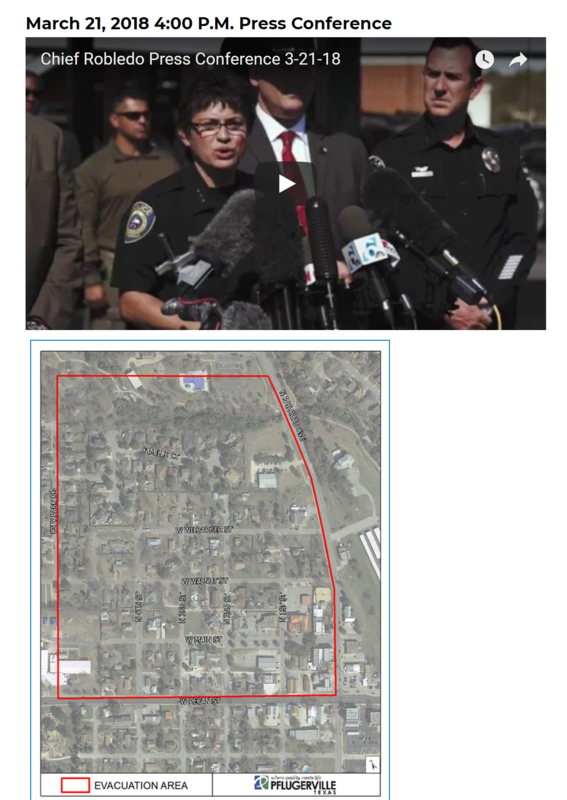 Chief Robledo -- I passed this to the Austin PD. Do not want your department/precinct to potentially be blindsided. I am the former operations and training officer for the (now defunct) U.S. Army/DIA/CIA STARGATE program. Our unit’s key operations included locating terrorist-abducted hostages. I have also served as a strategic intelligence targeting officer as the OSD level (vs. threat BW/CW/directed energy and ‘exotic’ weapons) and hold the honor and distinction of serving as the 2nd Armored Cavalry Regiment’s first tactical electronic warfare officer. (The British actor Sir Ben Kingsley plays me in the film Suspect Zero – I have a cameo appearance as an FBI ‘remote viewing’ instructor). My former colleagues and I assisted James Moody, former FBI Deputy Assistant Director, on the ‘Unabomber’ case. There is a high likelihood that the individual(s) responsible for the murders of Draylen Mason and Anthony House is/are presently located at or in the immediate vicinity of N30˚ 27’ 28.5”/W97˚ 37’ 19.5” (refer to attachments). Note: FBI and Austin PD acknowledged receipt of my message. Distance from target proximity center point about 3/4 of a mile. For technical reasons (e.g., moving target, short mission execution time window, Matrix search query/cue constraints, ideational-semiotic parameters, etc. ), a pinpoint fix on the target was problematic. There are a few advanced RV methods that can be employed to circumvent some of these problems. However, due to a sense of urgency, I perforce chose the most expedient problem attack pathway/strategem. Being far away I haven't seen live coverage of the drama unfolding, assume it must have been all over the news in the US. Checking the timeline of events, it seems clear that your report was submitted before the suspect's identity was released, hence his home or location could not be learned ahead of time by traditional methods. Is this correct? I am asking because being able to point this out is highly valuable for a convincing argument. Correct -- apparent, per the above. I delayed executing work on this case because I felt pretty certain that the lawmen would have enough evidence and bread crumb trail elements to wrap things up, quickly. That didn't happen soon enough, so I hit the ground running.